For Quality Auto Repair that You Can Count On, Our Lincoln Car Service Center is Your First and Only Stop – Serving All Makes & Models! 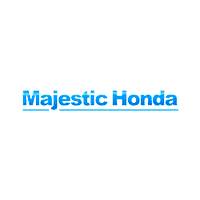 At Majestic Honda, our team is proud to satisfy all of your automotive needs. Whether that means helping you choose a new or used Honda from our ever-changing inventory or keeping your current vehicle in outstanding condition, our entire team is here for you. 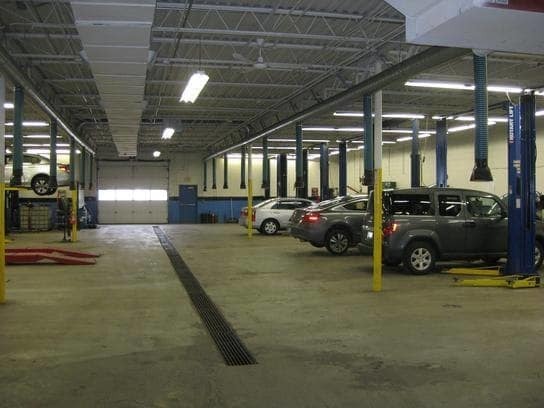 When you visit the Majestic Honda Service Center in Lincoln, Rhode Island, you’ll be met by a team of expert automotive technicians that are specially trained in servicing all makes and models of vehicles. From sophisticated sedans to family-friendly SUVs, the Majestic Honda Majestic Honda team is well-versed in oil changes, tire rotations, brake jobs and providing you with a diagnosis after your vehicle’s engine light has come on. Not to mention, if you’re the proud owner of a Honda, our team will use only genuine Honda parts from our Parts Center, if needed. Regardless of which vehicle you own, routine vehicle maintenance is absolutely essential to ensuring the quality, dependability and longevity of your vehicle. If you live in Lincoln, Providence, Pawtucket, Woonsocket or Johnston, RI; or Attleboro, MA and your vehicle is in need of auto service, we encourage you to schedule an appointment with our Service Center team today. Our team looks forward helping you keep your vehicle on the road for miles to come. We service the following and more! Certified Honda Service Center serving Providence, Rhode Island and Beyond! When it’s time to service your Honda vehicle, you don’t want just anyone doing the work. When you bring your Honda car, truck or SUV to Majestic, you can trust that the service will be completed by a Honda dealer and all maintenance and repairs are done using genuine OEM parts. Our skilled, certified service technicians offer complete service for your Honda. Whether you need an oil change, a brake inspection, or scheduled maintenance, the Honda experts in Lincoln, RI will keep your car running smoothly. Check our website for service specials. When it’s time to make an appointment, call us at 401-762-1800. Or if you prefer, you can even schedule a service visit right from our website. Whether you own a Honda Civic, Accord, Fit, CR-V, Pilot, Crosstour, Odyssey, Ridgeline, CR-Z or Insight, we’ll service your vehicle properly, quickly and without any hassle. If your Honda is a late-model car or you have a more seasoned vehicle, we have the expertise to service your car so you can enjoy many years of safe driving. We’re conveniently located in Lincoln, RI at 1300 Eddie Dowling Hwy. Our service department is open six days a week to assist you. All of this and most other types of service, maintenance, and repair!